Give Your Kids Some Fuel for School! With summer’s end comes back-to-school shopping: new clothes, pencils, folders, binders – everything your child needs to start the school year strong. But don’t forget a very important part of your child’s school day – lunch time! Ream’s Food Stores has You Covered! Ream’s Food Stores wants to make it easy for you to prepare delicious lunches that will power your kids through their school days so they can stay sharp in the classroom. We also know parents are busy – so we came up with a list of lunches that are easy to make, without too many ingredients. This recipe is simple and quick, and very customizable to your children’ tastes. Don’t like cream cheese? Try it with ranch dressing, or add in other veggies your kids love! 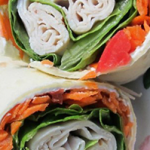 Pair it with some pretzels, clementines, and a juice box for a well-balanced, healthy lunch! Then follow these instructions to start making it! 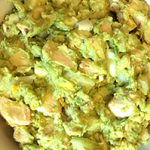 If your child loves chicken salad, then whip them up this healthy, mayo-free alternative that they’ll absolutely love! Five simple ingredients and all natural – you can’t beat it! Ream’s Pro-Tip: Have a messy eater? Stuff some in a pita pocket, or top a piece of toast with it! Add a granola bar, some grapes, and a juice box for a meal you kids will look forward to! Then follow these instructions to create this delicious lunch! 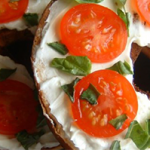 Trick your kids into thinking pizza’s for lunch with this delicious tomato bagel sandwich! This delicious and fresh lunch couldn’t be easier to make. Pack it with some yogurt, grapes, and juice for a well-rounded lunch you kids will gobble up! Then follow these instructions to whip up this yummy bagel sandwich! We hope your kids have a great first few weeks back to school and our foods can fuel them to success! Click here to see more of this week’s deals at Ream’s Food Stores! Do you have the best school lunch recipe ever? Willing to share? Tell us all what we’re missing!